This year’s 4+4 Days in Motion features numerous remarkable foreign theatre performances and choreographies offering a look at current social issues as well as humor and entertainment. The documentary theatre performance Alexis, Greek Tragedy, presented by Italy’s famed MOTUS ensemble, reaffirms the notion that theatre is a kind of litmus test for society in terms of both political engagement as well as poetic imagination. A modern interpretation of Antigone, the ensemble’s latest performance, Alexis, Greek Tragedy, explores the tragic images from and youth rebellion in contemporary Greece. Motus has received numerous prestigious awards throughout the world, and Quebec’s Association of Theatre Critics named Alexis, Greek Tragedy the best foreign play of the 2011/12 season. 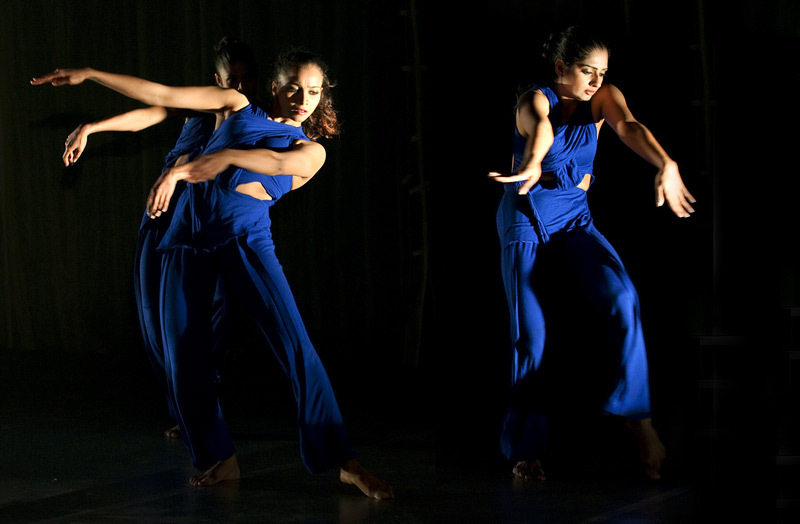 The internationally successful Indian dance ensemble ATTAKKALARI CENTRE FOR MOVEMENT ARTS is one of India’s most progressive artistic dance ensembles. Their performance AadhaaraChakra a Dancelogue presents an original audio and cinematic dance excursion into an imaginary world of Indian villages, marketplaces, and busy city streets. A collective and ritual experience, the performance uses memories and images across time and space to create an extraordinary visual spectacle presenting a conflict between the perception of traditional and contemporary dance that may seem senseless to “Western civilization”. This is the first ever performance by an Indian ensemble at 4+4 Days in Motion. 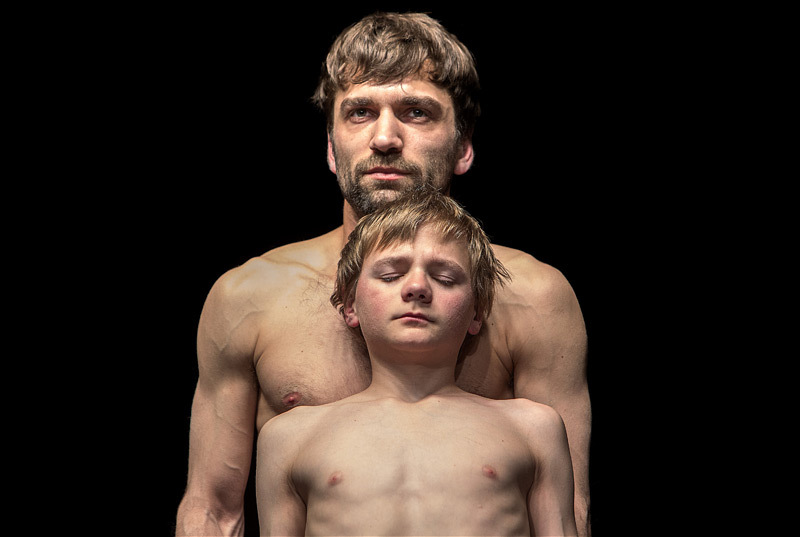 VICTOR, a choreography produced by Belgium’s famed CAMPO theatre ensemble, is the first artistic collaboration between the exceptional artists Jan Martens and Peter Seynaeve. In this intimate dance duet for a man and a child, one has a long journey behind him while the other yearns to be an adult as quickly as possible. It is a fragile game of muscles and a power play of unequal possibilities, a small story about large and honorable things, about strength and innocence, but above all about yearning for closeness. Since being founded in 1999, the international art collective SUPERAMAS has traveled the entire world with its highly original art projects offering a brilliant combination of original film, choreography, theatre, soap opera, and live music. In its latest project, THEATRE, Superamas explores the intersection between the artistic viewpoint of Renaissance painters and that of the 21st century’s pioneers in 3D technology. The project’s authentic and fictional stories, set in an imaginary world and combining reality with virtual reality, are a return to and comedial reflection of the “Arab vs. Western” view of the world. Each year, the festival also contributes to the creation of new projects, whose premieres form an integral part of the festival’s program. This year, the festival will present premieres by progressive Czech ensembles and artists such as 420 PEOPLE, VERTE DANCE, VOSTO5, SECONDHAND WOMAN, LUCIE KAŠIÁROVÁ & VANDA HYBNEROVÁ and ŽAN LOOSE. The main task of the association is an organisation of international theatre festival Four + Four Days in Motion. 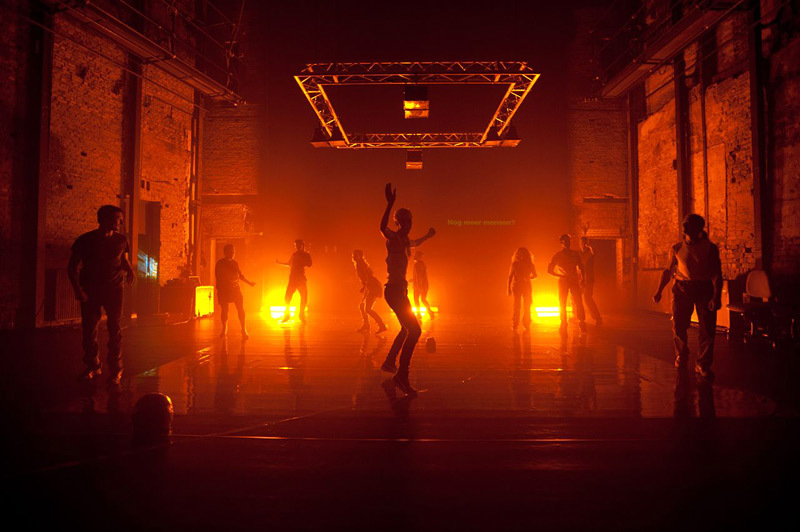 Since 1996 the festival’s aim is to present contemporary inovative theatre projects, every year the festival presents ca twenty groups from all over the world. The particularity of the festival is to enliven objects of the Prague architecture by theatre and presentation of international projects co-produced by Four Days. Projects of the festival include all genres of contemporary art (theatre, dance, music, visual art, film, video art). Every year of the festival has its specific theme – leitmotif, for example Demolition (abandoned halls of CKD, where the festival took place were prepared to demolishon), Hibernation (freezing of cultural activities in the Czech Republic, extinction of residential spaces, etc) The effect of connecting the individual genres of art in the dramaturgy of the festival is also the connection of visitors of theatre performances with the vistiors of concert, galleries and fans of dance music. Thus festival 4+4 Days in Motion is in the Czech context an unique event. The natural part of the festival create seminars and workshops, which often become the basis for the next cooperation between artists, managers, and theatre professionals from different countries. International theatre festival has gained during its fifteen years of existence not only its own public but also the world repute thanks to the organization in the non-traditional theatre spaces. After the former sewage plant in Bubenec (1998), former factory halls of CKD Karlin (1999), former brewery in Holesovice (2000), romantic environment of Tyrš´s House and Nosticova Hall in Ujezd (2001), Ponec Theatre (2002), area of former brickyard in Sarecke valley (2003), Prague ZOO and ice hockey stadium HC Hvezda (2005), former dental clinic in Jugmannova 21 (2006), National Museum of Agriculture (2007), industrial halls in Holesovice (2008), and building of the former Federal Assembly (2009), we have decided to continue in revitalization of non-traditional places of Prague architecture. This year the site specific project will take place in former Institute of Folk Art Production (in Czech Ústav lidové umělecké výroby – ÚLUV) at Narodni trida. The artistic groups and soloist, who visit our festival every year, are different not only by their nation but also by different genre – from contemporary dance, physical and visual theatre, to concert, video art, or verbal theatre. During past fourteen years we managed to present in Prague over 160 professional artistic groups from al over the world and every year we produce or co-produce several extraordinary local projects. The important aspect of the festival is the cooperation with the group Jednotka / Unit, which has been creating the design of the non traditional space and a unique festival bar since year 2000. The flash source file does not exists.